Anna's (in Summer 10 D&G) thoughts on Tommy Ton: "I can't explain the feeling that there was from the first moment we metbetween me and TOMMY. painting a picture the instant before that is washed out in the water. To me wearing a dress is like putting a piece of the dream before it fades upon waking. Our OBSESSION about aesthetics, beauty,artistic vision of life, unites usin this journey parallel to reality. 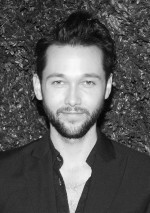 Fashionista asked Chris Benz to give aspiring stylists advice on how to make it in the industry. This question is always asked, and usually the advice that is given seems to come right out of a textbook (if they make textbooks on how to become a stylist...) Usually the advice says to find a well known stylist, become an apprentice, work on your portfolio etc. Although that's correct advice, everyone already knows that those are the proper steps. Benz's advice is a bit out of the box and focuses on the most important thing, building your own personal brand. If you haven’t figured it out yet, presentation is everything. And I do mean that – don’t get lost in the minutia of “portfolios” and “books.” I actually can’t remember the last time I reviewed a portfolio. Curate your life and your persona, commit to your direction, and become completely dedicated to that vision. Chances are, as an aspiring stylist, you have very unique opinions about the manner in which things should look. Focus on that and anything that speaks to that direction should get assembled into a portfolio. It’s as interesting to see the process of inspiration as the end result. A stylist fulfills many more roles than simply putting outfits together–they’re personalities unto themselves, and are often the inspiration for entire collections. By becoming the most distinctive kind of person, people will gravitate towards your vision. First impressions more often than not are the reason to work with someone, so you must be prepared for anything and at any moment! If your message as a stylist is a huge mess of colorful hair and shaved eyebrows, then you’d ought to make sure that you’re representing that look everyday. If it’s Lauren Hutton breezy glamor, with a clean face, straw hat, and overalls, then literally wear that everyday! All the great stylists have a clear vision, and one that they have formed after years of trial and error. 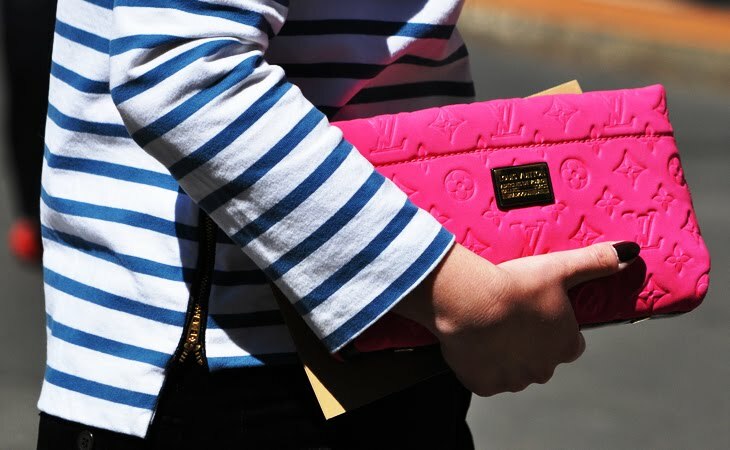 I say, wear something wonderful in a new way, and trust me, people will notice. This dress is perfect for a hot summer day and we love the unexpected pairing of the shoes. We also love the open back and the simple bag. The other day one of our friends had on the best outfit. She had on a bright red skirt paired with a white mesh body suit from American Apparel (with a white bandeau underneath of course). It got us thinking....we have seen a lot of mesh lately, and we like it. On Shopbop when you search mesh, over 40 products come up. That's got to tell you something. We love the throw-back to mesh and we realy like it when it's put together with simple classic pieces. Anyways, we can't stop thinking about mesh today....and we just ran out to buy a few mesh body suits for EDC this weekend. From left, LNA tee on shopbop, American Apparel body suit, and LNA tank at urban outfitters. with the shirt and the louis. Refinery 29 did a great piece on the perfect dresses for summer occasions. We love Refinery 29's style and thus almost always love their outfit choices. From the typical summer bbq, to a few nighttime cocktails, to a beach day and finally to a music festival (EDC in LA this weekend anyone?) they have picked a few perfect dresses for each occasion. We are in summer mode....which means that we post less frequently (sorry guys), we spend more time outside, and we are having a wayyyy harder time focusing on productivity. This summer, and let's be real, every summer, we just can't get enough of long, stringy hair. We love it tousled, wavy, stick straight, volumunous or flat. Really, we will take it any way we can get it. And we cant even begin to tell you how many people suggest that we get haircuts on a daily basis. We like to think that these are the type of people that work in corporate offices and actually follow rules. that Miroslava Duma is so so pregnant? Have we been living under a rock (or maybe a pile of dresses...)? Oh, and no surprise, she has the best pregnant style ever. We were lucky enough to have a great photoshoot a few weeks ago with some of our favorite dresses. It was really fun, and as always it was great to see the dresses in action. Here are a few of our favorite pics. Mary Kate and Ashley with Sasha Pivovarova all wearing The Row at last night's CFDA awards. Billboard in Times Square of Rumi Neely (fashiontoast)'s collaboration with F21. Rumi just posted this picture on her blog. This just proves, even further, how much influence the blogging community has. Kind of crazy, huh? of Lindsey Wixson. We know you know this, but she is by far our favorite model right now. Here she is exiting the Jason Wu resort show. 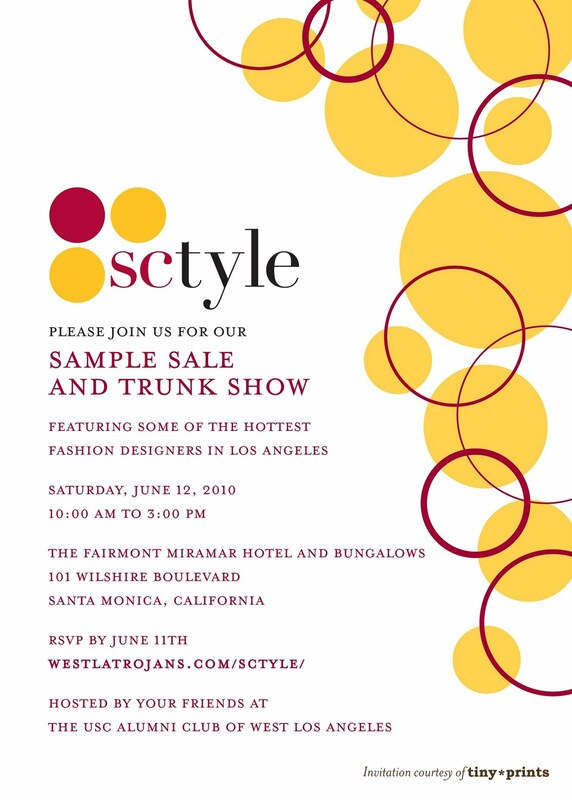 Some of our favorite ladies are putting on the Sample Sale event at the Fairmont Hotel in Santa Monica next Saturday June 12th from 10 AM to 3 PM. 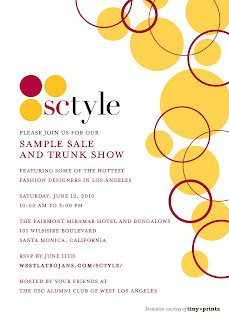 A portion of the proceeds go to a scholarship fund for USC students and also help benefit the charity Dress for Success. If you don't know much about Dress for Success, its a pretty cool concept. They basically help underpriveleged women get jobs by providing them with professional attire and a network of support and career development tools. Soooo if you want to help out a good cause, and get some amazing deals at the same time check out this event. Alot of the designers are up and coming, so its a good place to get unique stuff.